How insights from the social sciences, including social psychology and economics, can improve the design of online communities. Online communities are among the most popular destinations on the Internet, but not all online communities are equally successful. For every flourishing Facebook, there is a moribund Friendster--not to mention the scores of smaller social networking sites that never attracted enough members to be viable. 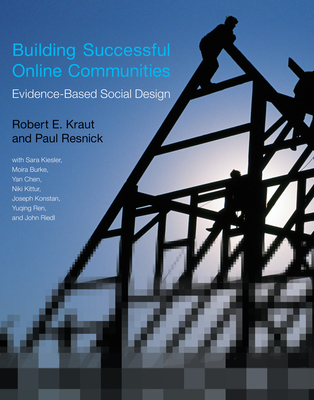 This book offers lessons from theory and empirical research in the social sciences that can help improve the design of online communities. The authors draw on the literature in psychology, economics, and other social sciences, as well as their own research, translating general findings into useful design claims. They explain, for example, how to encourage information contributions based on the theory of public goods, and how to build members' commitment based on theories of interpersonal bond formation. For each design claim, they offer supporting evidence from theory, experiments, or observational studies. Robert E. Kraut is Herbert A. Simon Professor of Human-Computer Interaction at Carnegie Mellon University. Paul Resnick is Professor at the University of Michigan's School of Information.